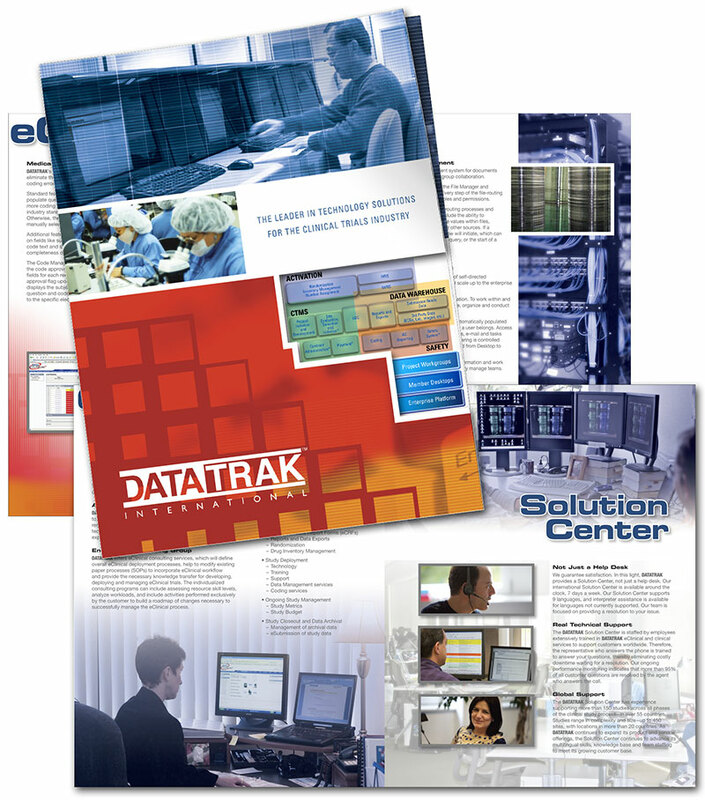 This corporate brochure for Datatrak International was the first piece in a branding campaign that spanned a two-year effort. Edwards Communications art directed the custom photography and design and produced the 24-page brochure. Other items in the branding campaign were trade show display designs, along with their giveaways, various print advertisements and folder with inserts.